As the internet is filled with only complaints and hate posts about Guild Wars 2, I tried to search for some positive news about the MMORPG. Swimming through all the Guild Wars 2 Gold spams like “Buy Guild Wars 2 Gold”, I saw something that I can’t believe I didn’t know for the longest time (almost two years now). BELLEVUE Wash. – 16th Aug, 2013: ArenaNet™, developer of the acclaimed Guild Wars franchise, and DFC Intelligence, a strategic market research and consulting firm focused on interactive entertainment, today announced that Guild Wars 2 ranks as the all-time fastest selling Massively Multiplayer Online Role-Playing Game (MMORPG) in Europe North America and Europe, with territorial sales topping more than 3 million in the first nine months of availability. “After triangulating against multiple data sources, it’s clear that Guild Wars 2 is the fastest-selling Western MMO of all time based on the first nine months of availability”, said analyst David Cole of DFC Intelligence. “This puts Guild Wars 2 in an impressive position when they release in China, where we’ve seen similar franchises really take off”. Guild Wars 2 is expected to experience rapid growth once it releases in China, where the player-base has the potential to exceed that of the West. To bring Guild Wars 2 to China, ArenaNet has partnered with KongZhong Corporation, a leading Chinese provider of digital entertainment services. For more details about Guild Wars 2, visit www.guildwars2.com. Yup! 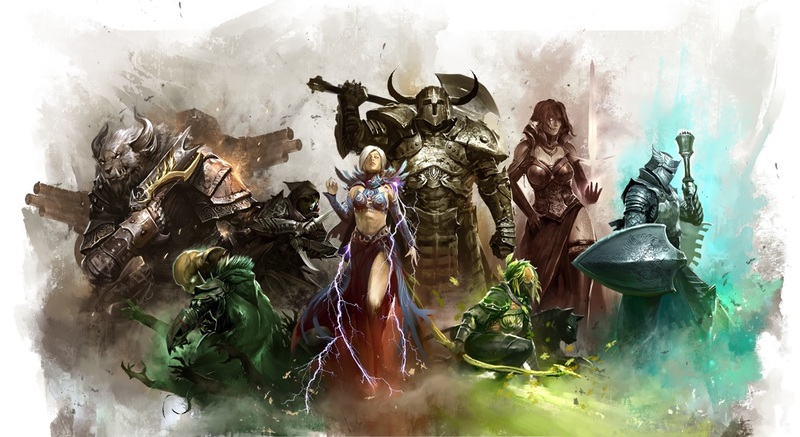 Guild Wars 2 holds the record for the fastest-selling MMO in history now. That pretty much affirms how it was anticipated two years and is still played by players all over the world. Cheers to this and more power to Guild Wars 2!